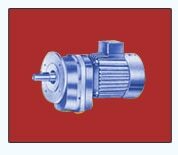 Geared Motors, Helical Geared Motors, Helical Geared Motor, Helical Geared Motors Manufacturers, Helical Geared Motors Suppliers from Mumbai, India. With the aid of our rich industry expertise, we have been able to manufacture, export and supply the supreme quality Helical Geared Motor. This motor is manufactured using high grade raw material that is sourced from some of the most reliable vendors of the market. All our professionals ensure to follow the set industry guidelines while manufacturing these motors. Our offered geared motor is a flange type mounting motor that is most appreciated for it stirrer duty. Helical Geared Motor offered by us is made available to the clients at the best market price and that too within the predefined time frame. Features: 1) Noiseless operation 2) Optimum efficiency 3) Sturdy construction Other Details: Helical Geared Motors flange mounting type are most suitable for stirrer duty. The depth of the stirrer can be adjusted freely without disturbing the arrangement. HOLLOW SHAFT HELICAL GEARED MOTORS flange mounting type are most suitable for stirrer duty. The depth of the stirrer can be adjusted freely without disturbing the arrangement.